Watch and learn how to create a super sweet sugar scrub from scratch! 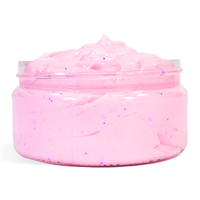 This emulsified sugar scrub smells like sweet cotton candy, and is loved by kids and adults alike! "Hi, I watched the video on the emulsified sugar scrub, but couldn't see how much of the phenonip you used for the recipe. Thank you, Deb Casey"